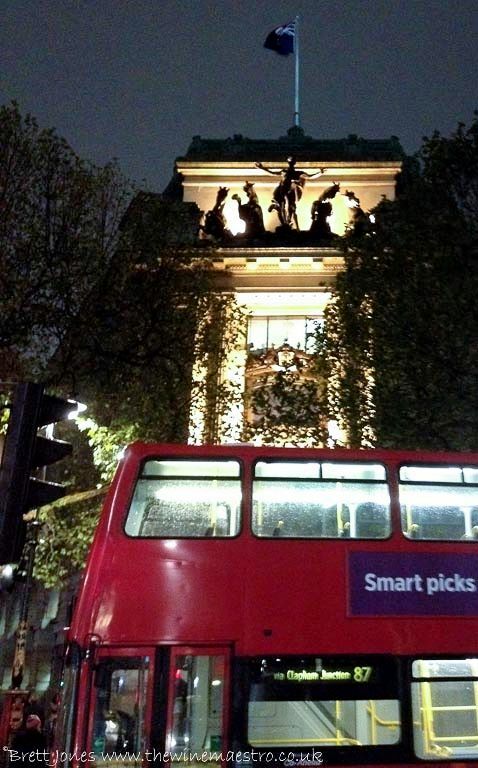 The bus said it all as it travelled past Australia House on the Strand – there were going to be some smart picks at the Young Wine Writer of the Year awards, hosted by Wines of Australia. Now in its thirteenth year the competition is going from strength to strength, with 49 quality entries, a record number. Sponsored by the Circle of Wine Writers, Pavilion Books (Oz Clarke’s publishers) and Wine Australia with the aim to encourage new wine writing potential. The guests start to arrive.. 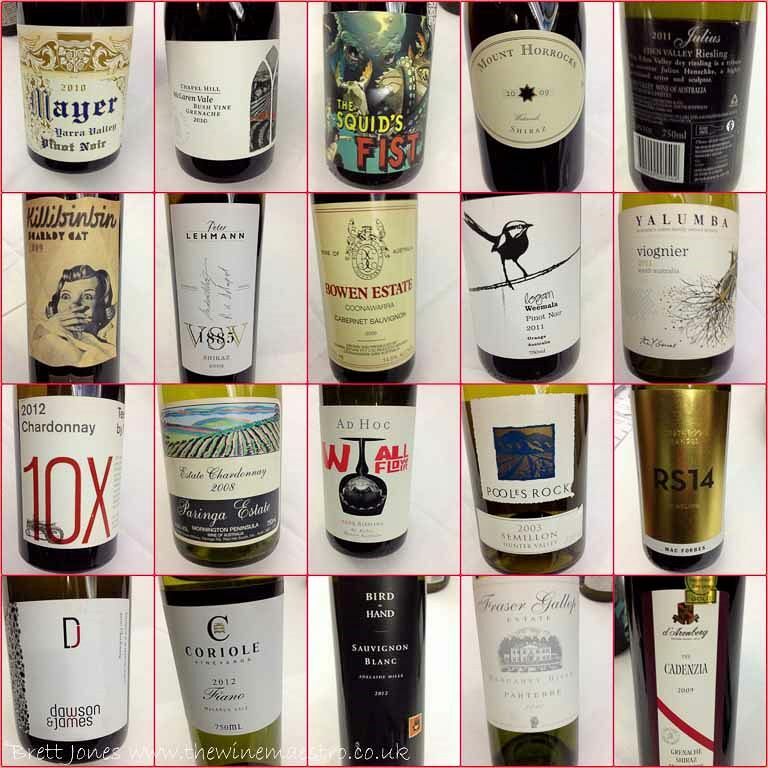 I was very keen, arrived early and managed to taste the 30 or so wines as well as, of course, chatting to some of the competitors and other guests. Steven Spurrier, president of the Circle of Wine Writers then announced this years winner, Hugh Jones, whose winning entry was an intriguing story how he busked his way to buy a very special wine, Angelo Gaja’s 1997 Sori Tildin. Hugh wins a £1000 cheque (which would buy him a couple of bottles of Gaja’s wine!) presented by Pavilion Books, a two week trip of a lifetime to the wine regions of Australia, courtesy of Wine Australia and a year’s subscription to the Circle of Wine Writers. All you have to do is write 1500 words about any aspect of wine. 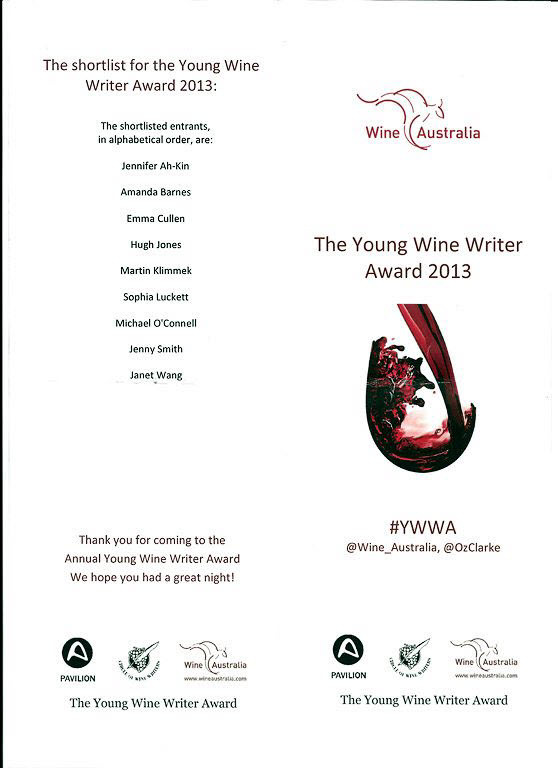 So if you’re a keen young writer keep a look out for the Young Wine Writer of the Year competition next year. 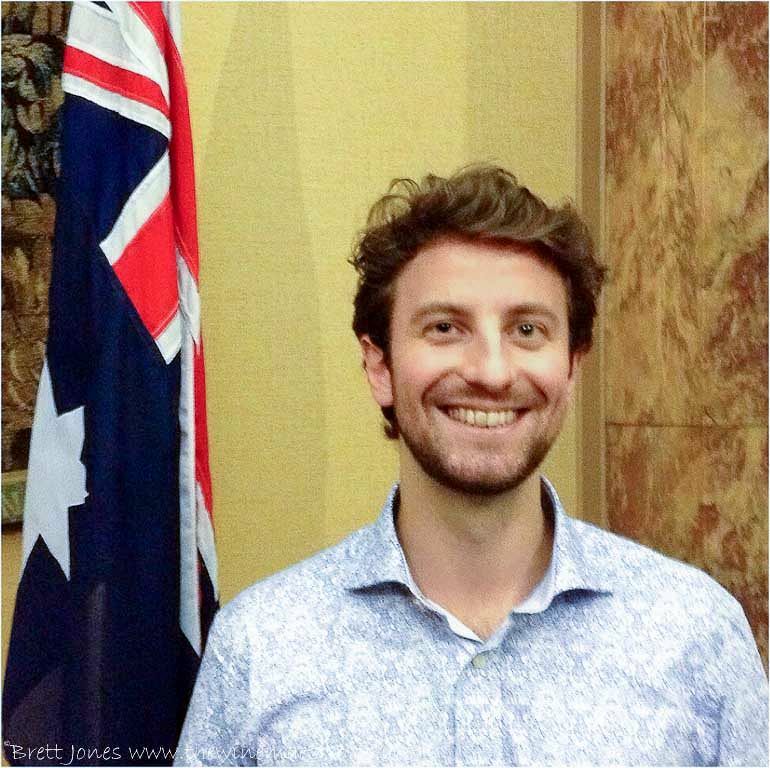 This entry was posted in Wine, Wine Blog and tagged Australia House, Pavilion Books, Wines of Australia, Young wine writer, YWWA by Brett, the Wine Maestro. Bookmark the permalink. Great post Brett, thanks for sharing.